But the “mean streets” of New York and Glasgow have nothing on the mean streets of London immediately after World War II. The spivs operating the black market have more customers than they can handle. Men like Pauli Gambatti, whose hoodlums looted during the air-raids and sold their own stuff back to the people in Petticoat Lane, now have the whole thing organised. She tells him she is a crime reporter and that she can put business his way if he helps her. But there is much more to Eve than that. Then she is kidnapped, and Danny has to go to Berlin in search of her. Berlin in 1946 is even worse than London. In addition to the gangs of black marketeers there are agents and assassins working for one, or both – or all three – sides as Cold War breaks out, and the words right and wrong, good and evil, which seemed to make some sense during WWII, begin to lose all meaning. 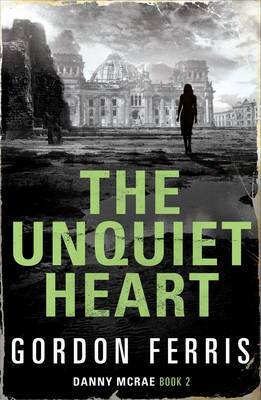 Probably the best book I have ever read set in immediately post-war London and Berlin.